It has been proven beyond doubt by renowned academics that the word “Myanmar” ending with “r” is both phonetically and politically wrong, and also for the simple reason that dictators cannot change the fair name of the country without the consent of the people. Besides the word “Myanma” comes from the South Indian word of “Mrama”, a tribe in India, who migrated into Burma thousands of years ago and call themselves as “Myanmah” ending with an “h” later became “Myanma” where the last letter| “a” is pronounced softly, as the word mother in English. But as far English language is concerned the Burmese generals being bumpkin make the wrong spelling adding the consonant “r”’ and construe that everybody within its grab or do business with them, must comply. Hence, the Junta’s Myanmar seems to be proud getting in the Guinness Books of Records as the only country in the world that idiotically calls the people and the country with the same name. (From Germany the people are call Germans, Spain is Spanish, Sweden is Swedish, China is Chinese and not Deutschland, Espanola, Sewerage or Chung Gao Ren in their own native languages). One of the hidden rationale is the Myanmarnization Program of all the ethnic nationalities of what in Burmese is called Mahar Myanmar (မဟာျမန္မာ), the policy of a great nation (just like of what the Normans from Normandy starting with William the Conqueror did to the Anglo Saxons tribes producing English people or what the Caucasians done to the aboriginals people of North America becoming American and so on) forcing all the ethnic nationalities to become Myanmar ethnic group. They forced the people to forget that this modern nation was born as the Union of Burma with the Panglong Accord and this is the crux of the Burmese problem leading to all sorts of gross human rights violations. Even in the coming lopsided election of a dubious constitution, a series of notifications by the Election Commission issued indicates that there will be no elections for the ethnic nationals in Kachin, Karen, Karenni Mon and Shan states numbering more than 300 village tracts and four townships thus affectively de-franchising thousands of ethnic nationalities which is just the implementation of their hidden policy agenda. The Election Commission fails to explain why these constituencies do not qualify to vote for the simple reason of the lack of support but their raison de’étre of free and fair did not apply to the neutral international observers lest the cat will be out of the bag. With these series of unfair snowball actions, it is for the Myanmar ethnic democracy movement to take the initiative, not only to prove that it is against the cruel military dictatorship but also to uphold the Union of Burma, with all the people living in peace and harmony, in other words a federal democratic way of nation building. This can be done by telling the people of the entire country not to participate in the coming November elections. This is easier said than done as there are so many uneducated, ignorant, psychopaths, apologists, opportunists who are ready to do favour with the Junta for the small crumbs. The basic theory of participating in the elections, giving various reasons belies the fact that they belief in the Junta’s election and its lies. The onus will be on the Myanma dominated NLD whose benevolent leader Daw Aung San Suu Kyi has take a leading role in boycotting the elections. No doubt politically conscious people and patriots will resist the forced elections but it is their bounden duty of the NLD to educate the people that will be so intimidated that they are willing to comply with the unfair demand of the military. NLD has its office throughout the length and breadth of the country and is still functioning clandestinely. It should start the whispering campaigning of not to vote. 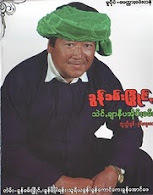 It is evident that the mass of the people hated the Junta`s the Union Solidarity and Development Party (USDP as they have often rough ride shot over the sensitivity of the people especially during the Nargis Cyclone and the Saffron Revolution. One of the points which can be proven to the people of Burma is that the Junta party USDP does not have an ounce of cetena (ေစတနာ) or Metta (ေမတၱာ) to the people of Burma and is not imbued with any humanitarian heart because they are the ones that try to prevent the international aid from reaching to the cyclone victims and let the people suffer. How can such a mean political party be given a power is just simple logic? The second aspect is that USDP has taken the initiative encouraged by the Tatmadaw the army in killing the Buddhist monks and Burma is a Buddhist country where the majority of the people respects to the monks, hence if the elections is fully implemented then atheisms would prevail. In Burmese we call is Dhamandarae (ဓမႏၱရာယ္). The Junta’s designated USDP is an atheist and has no respect for religion. This has been proven beyond doubt whey they mercilessly killed the monks known as by the Saffron Revolution. Hence, it is a common sense that if anybody takes part in the election, he is sure to land in hell no matter what religion he professed. Unlike the Communist countries and the West, Religion still plays an important and vital role in Burma, even the ogre Than Shwe is afraid of hell and for his next existence when he realise that he has killed so many monks and people. The simple logic is that how can an atheist orchestrated election be beneficial to the country and the people not only in this existence but also in the next existence? Not only Buddhist monks but also Burmese Christian pastors, priests, Muslim Moulvi, Ayatollah and clerics should all preach in their sermons that it is a sin to lend a helping hand to the torturers and rapists and killer of monks and the greatest merit can be gain by not voting in the elections. Voting itself is anti religion and even though it will gain a certain credit in this life one is sure to end in hell if one were to lend a helping hand to the dictators. The guns can kill the man but once while voting can lead you to eternal condemnation. Religious believes will play a crucial role in this election. The third reason is that this USDP are killers and a classic example is the “Depaeyin Incident” where the Burmese General orchestrated the incident and it was the USDP that implemented mercilessly to the peaceful people. Hence how can they be given power? There are so many logical reasons not to vote for the elections. This is the one area where the Myanma and non Myanma can cooperate in repelling the repressive laws and its dictators. This is an opportune moment for the ethnic Myanma group could show their solidarity with the ethnic nationalities and earned their trust and love, even though the regime dominated by the Myanma group was implementing the ethnic cleansing policy and embarking on the Mahar Myanma policy the majority of the Myanma ethnic group are against it by not taking part in the elections. It is also a time that the majority of the Myanma loves the Pyidougsu (Union) and wish to live in peace and harmony with the ethnic nationalities. This can be proven by following the lead taken by Bogyoke Àung San at the Panglong Conference and that they stand shoulder to shoulder in time of crisis and stress like this. What they can aspire is for all the people to live in peace, harmony, equality, love and fraternity sharing their weal and woes and want to stand as an honest people in the international arena. The international community on the whole has condemned the elections. Even China that is out and out to exploit the land and people of Burma did not say a word about the elections during the visit of Than Shwe even though the Burmese press printed so much magnifying his visit. The proof of it is that there is no Joint Communiqué as it usually does whenever the head of state visited China or vice versa (a classic example is the famous five principles of peaceful coexistence issued by the late Chou En Lai and U Nu). But the most important points which the Myanma ethnic people is to prove to the international community, the world in general and in particular to the ethnic nationalities of Burma that they stood with the ethnic nationalities through thick and thin in repelling this unfair elections and unjust laws and that the Myanma and the non Myanma have chosen to live in perpetuity not only in this life but also in the next life and together will refuse to vote the unjust elections for eternity. Let us work hand in hand to achieve this goal and upheld the original name of the Union of Burma instead of being a laughing stock in the civilized world.